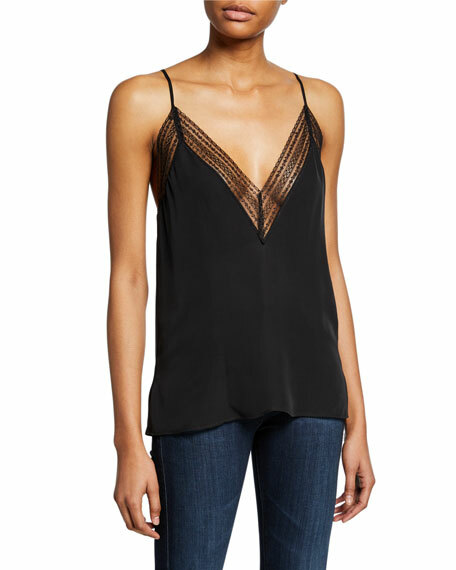 The Joie Coraline cami is the perfect underlay for the collection's signature sheer flowy blouses. Approx. measurements: 20"L center back to hem, 19"L center front to hem. For in-store inquiries, use sku #139278. 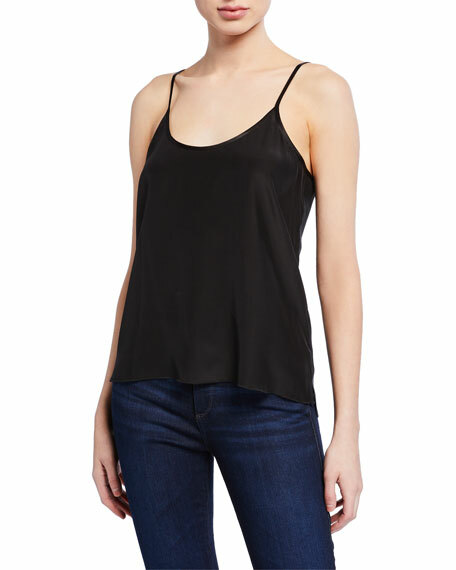 Cami NYC "The Arianna" silk camisole with scalloped lace trim. V neckline. Sleeveless. Relaxed silhouette. Side slits. Even hem. Slipover style. Silk body. Nylon lace. Viscose lining. Imported. 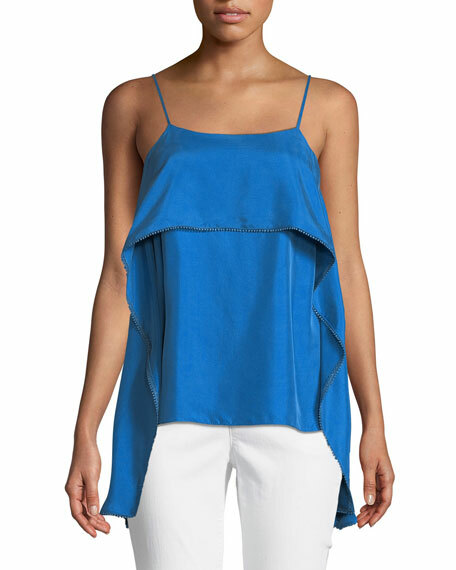 Halston Heritage camisole top with draped trim. Square neckline and back. Thin, adjustable shoulder straps. Popover with beaded trim. Relaxed silhouette. Straight hem. Rayon/polyester. Dry clean. Imported.